Chris Christie’s shockingly regressive education plan. He wants to give to the rich and take from the poor. New Jersey Gov. Chris Christie fields questions at a wide-ranging news conference on March 3 at the Statehouse in Trenton, New Jersey. On Tuesday, New Jersey Gov. Chris Christie made a speech that sounded commonsensical. “No child in this state is worth more state aid than another,” he said. He suggested equalizing per-student education funding across New Jersey so every public school, whether in a suburb or city, receives $6,599 in state aid per child. “Every child has potential. Every child has goals. Every child has dreams. 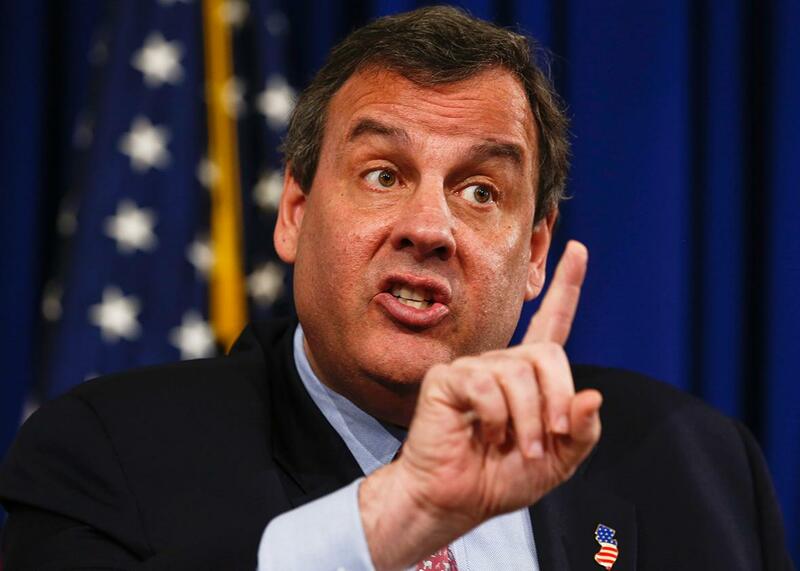 No child’s dreams are less worthy than any others,” Christie said. This might sound like a civil rights speech—a plea to provide more opportunities to the neediest kids. In fact, if enacted, Christie’s proposal would amount to a huge giveaway to the children and families who are already thriving in New Jersey while hurting the kids who most need a leg up. With this plan, the governor hopes to lower taxes and end a state program that sends extra money to schools that educate at-risk children. Lest you have any doubt about whom Christie is trying to protect with his “equalization” plan, consider the fact that although his proposal would cut supplemental funding for poor children and English language learners, it would continue to send extra money to children with learning disabilities—a group, unlike the other two, that is majority white. Here’s how Christie’s proposal would work in practice: Hillsborough Township, the leafy suburb where he delivered his speech, is 78 percent white, 8 percent Latino, and 5 percent black. Its education funding would increase by 86 percent under Christie’s plan. In high-poverty Newark, which is 84 percent black and Latino, funding would decrease by a devastating 69 percent. That a member of the Republican presidential nominee’s inner circle has made such a proposal is frankly terrifying. Christie’s plan is a deeply regressive one that would overturn a half-century of bipartisan consensus that poor children need extra educational resources. American public schools are funded in a few different ways. Nationwide, the federal government provides about 10 percent of the money, although in New Jersey, a relatively affluent state, that number is lower, at 4 percent. Those billions flow through the Elementary and Secondary Education Act, a 50-year-old Great Society program intended to improve education for poor children, disabled children, and children who are learning English. The vast majority of public education funding comes from state and local sources, most notably from property taxes. In 1990, in Abbott v. Burke, New Jersey’s Supreme Court ruled that the state’s school funding formula betrayed the state constitution’s promise of providing a “thorough and efficient education” for all by sending more money to affluent suburban schools in towns with high property values. To remedy that, the court required supplemental funding for the state’s 31 poorest districts, including Newark, Trenton, Camden, Union City, Jersey City, and Hoboken. Today, thanks to a revised funding formula crafted by both Democrats and Republicans, the state sends extra per-pupil dollars not only to those 31 “Abbott districts” but to students in any district who are poor, learning to speak English, or disabled. Cities and towns with large groups of those kids receive additional money to compensate for the challenges that come with concentrated poverty, such as the need to hire social workers or bilingual teachers. It is true that New Jersey school districts like Newark and Camden continue to struggle. What Christie didn’t mention is that those districts are in state receivership, which means that the person ultimately accountable for their low performance is … Chris Christie. It isn’t reasonable to expect that Newark, a city where 81 percent of students live in poverty, would have the same graduation rate as Hillsborough, where only 5 percent of students are poor. Even so, high-school graduation rates in Newark are up. And overall, poor children of color across New Jersey have experienced big academic gains since Abbott—gains that Christie is loath to acknowledge and that would be rolled back if his new funding plan becomes a reality. New Jersey is one of the top two states in the nation on academic performance adjusted for student demographics, meaning poor children there academically outperform poor children in every state except Massachusetts. According to an analysis of state data by the Education Law Center, the nonprofit that brought the Abbott case, between 2001 and 2010, the average high-school graduation rate across the state’s poorest districts climbed from 71 to 83 percent. There is little doubt that extra funding for poor children drove those gains. The Abbott pre-K program, for example, raised poor children’s test scores and also made them less likely to be diagnosed with a learning disability. While self-declared school reformers like Christie have long argued that “more money” cannot drive educational improvement, new longitudinal research shows higher graduation rates and higher adult incomes nationwide in places where courts ordered more school funding for poor kids. Does Christie’s retrograde proposal stand a chance? To get around the New Jersey Supreme Court, he is asking the state Legislature to approve a 2017 ballot initiative that, if voters support it, would amend the state’s constitution, essentially removing the language that requires equal educational opportunity across ZIP codes.